Under its LIGHTIFY range of products, OSRAM offers a variety of lighting solutions right from lamps and luminaries to RGBW flex strips and even RGBW Garden mount lights. All the LIGHTIFY range of products from OSRAM operate with the Wi-Fi protocol and easy-to-use LIGHTIFY App. [Read: How to setup OSRAM LIGHTIFY?] This lets users perform various functions like setting the brightness intensity, color selections, scheduling events and a lot more. One more good feature about the LIGHTIFY range of products in the cross-compatibility and the possibility to integrate with third party products. Let us take a quick look at How to integrate the OSRAM LIGHTIFY with Samsung SmartThings. Step 1: In the SmartThings App go to Marketplace. Under the Things section, click on Connect New Device. A spinning circle will appear with the app saying “I am looking for new things”. Step 2: Put the LIGHTIFY bulb in the socket and turn it on. The bulb will then blink indicating that it is ready to be paired. Once the device is discovered, you will see the message #Thing(s) found and the device will appear in the list. Step 3: Click on the device to configure it and follow the in-app prompts. Once you finish the configuration, click on Done. 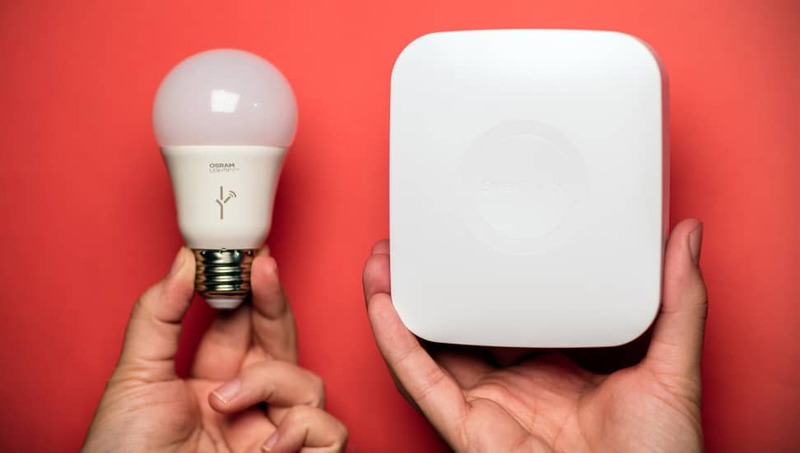 In case if you find that your OSRAM LIGHTIFY bulb is not being discovered and is not performing as expected you might either need to add/remove the bulb and reconnect it with SmartThings. To remove the bulb from the SmartThings App, go to My Home–>Things. Click on the device you wish to remove. Click on the gear icon at the top right and then click Remove. Confirm the removal. To hard reset the LIGHTIFY bulbs, perform the power cycle (turn OFF + turn On for 3 sec = 1 time) for 5 times. Once done, wait for ten seconds and then the light will blink 3 times if it successfully reset. This is an assurance that the LIGHTIFY bulb is ready to be paired again. Repeat this process in case the bulb doesn’t blink. Watch the video below to get a better idea. Note: The configuration of other range of LIGHTIFY products is the same. Also, the process of reset and hard reset for the devices is also the same.